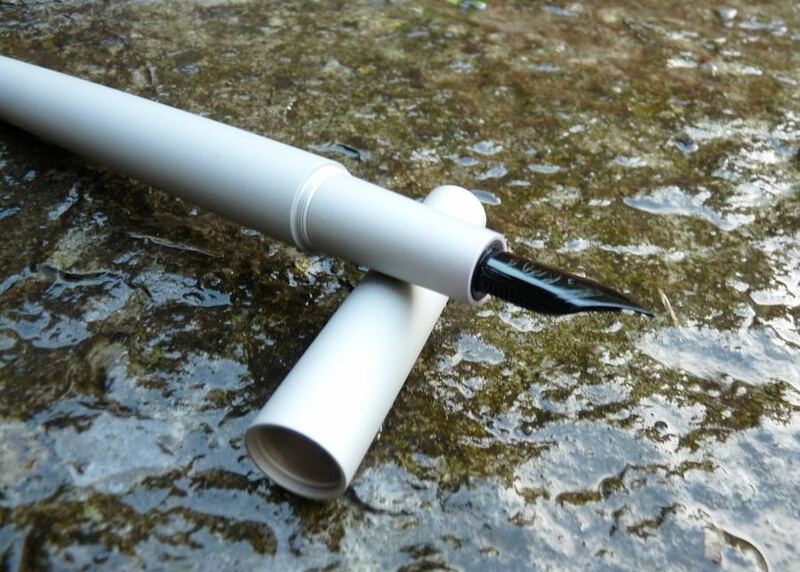 Trilogy Zero Fountain Pen Quick Look – Pens! Paper! Pencils! 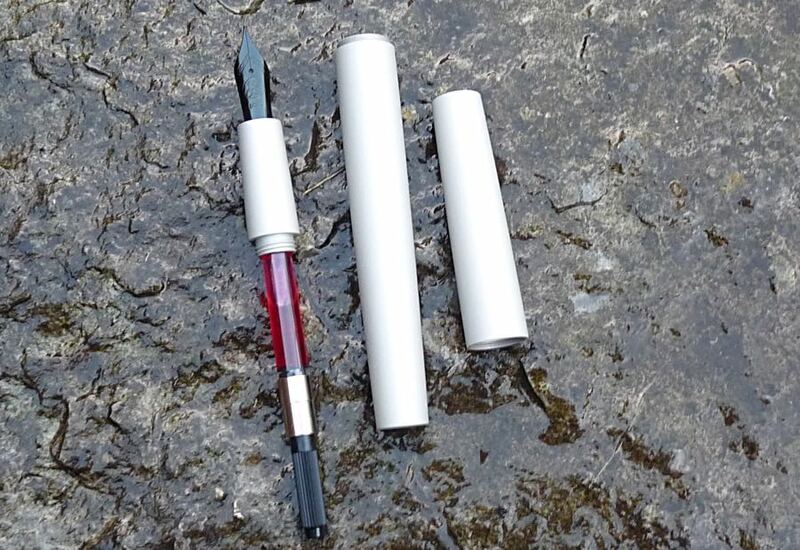 I’m still on my sabbatical but I promised Trilogy I’d have a quick look at their new pen and post something about it when they launched their Kickstarter campaign. Think of this as a special bonus episode. The Zero is a deceptively large pen, at a little over 14cm uncapped. It isn’t too heavy though (31g, uncapped) because it’s made from aluminium. I find it a very comfortable size and weight to write with and the weight it does possess gives it a (purely subjective, of course) feeling of quality. The cap screws on to close and doesn’t post. You can get the Zero with a variety of nibs: black coloured, silver coloured or gold coloured in fine, medium or broad. They’re all stainless steel #6 Bock nibs. 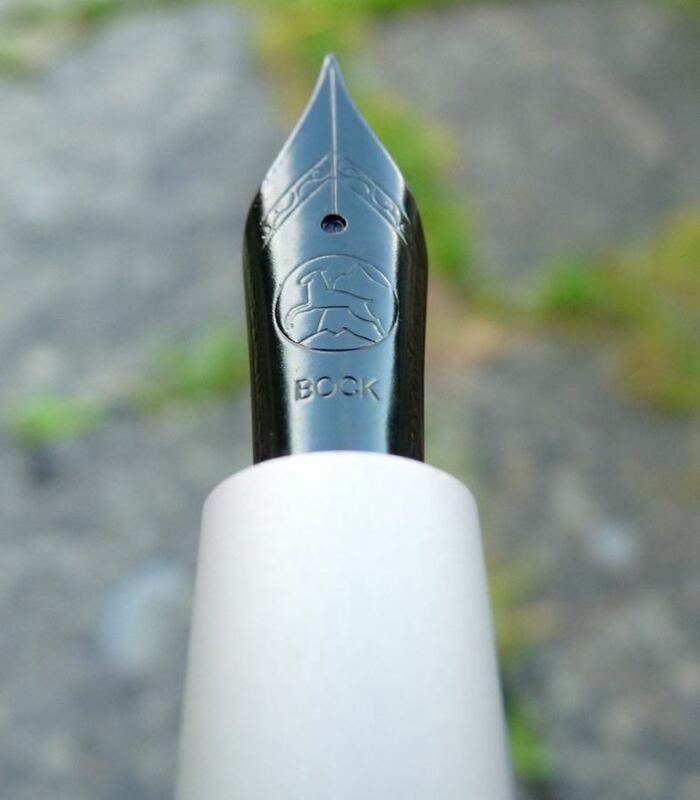 I find Bock nibs to be a little unreliable but the medium in mine is great: nice and smooth with a consistently good flow. The Trilogy Zero uses standard international cartridges or converters, meaning there are lots of options. Trilogy are (as everyone seems to these days) pushing the minimal design of the Zero. There’s so much of this that I’m starting to think of minimal design as equating to unimaginative and maybe even a little lazy. However, I do like how the Zero looks. It has clean and simple lines and I like the squared-off ends. I suppose if you like how this pens look you’ll applaud the minimalist simplicity and if you don’t like how it looks you’ll bemoan the lazy design. The Zero is anodised in either silver or black. My silver-finished pen looks absolutely fantastic. However, there are some issues with the finish on this proto-type that I’ve been told have been identified and addressed for the final pens. Apparently the prototypes were blasted a little too enthusiastically and the finish ended up too rough. This means there’s a terrible squeak as you screw on the cap. Also, when you dip the section in ink to fill the pen, the ink clings to the finish and I had to use a damp cloth to get it clean. Despite these issues, I like this pen, even with the finish as it is. It’s a pen I’ve been enjoying picking up and writing with. 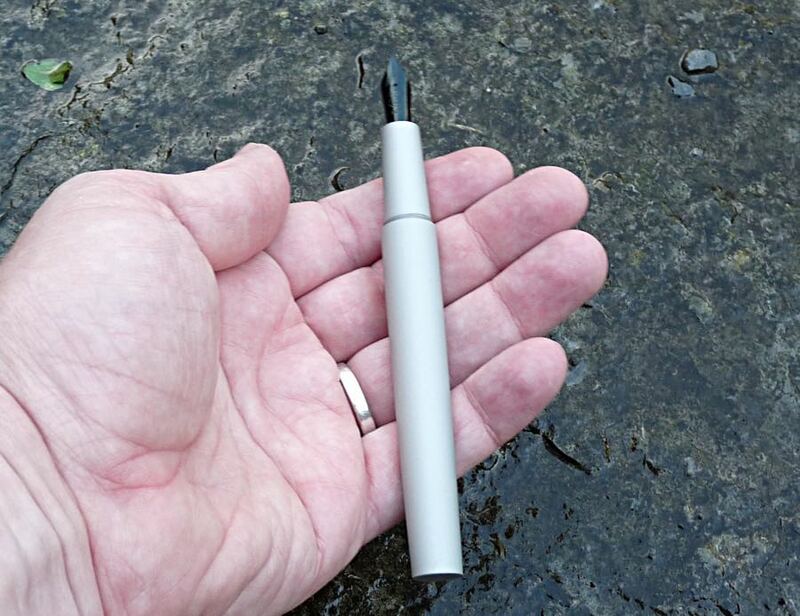 It stands out from similar “minimalist” Kickstarter-launched pens because of it’s size. Most others are much smaller. It’s a reasonable price ($50 early bird, $60 later) and if I wasn’t on an absolute (and extremely hard to stick to) spending hiatus I would back it. I can’t one-hundred per cent recommend it, of course, because I don’t know what the refined anodising will be like, but I think it’s certainly worth a look and, if you like what you see, probably worth a serious consideration. 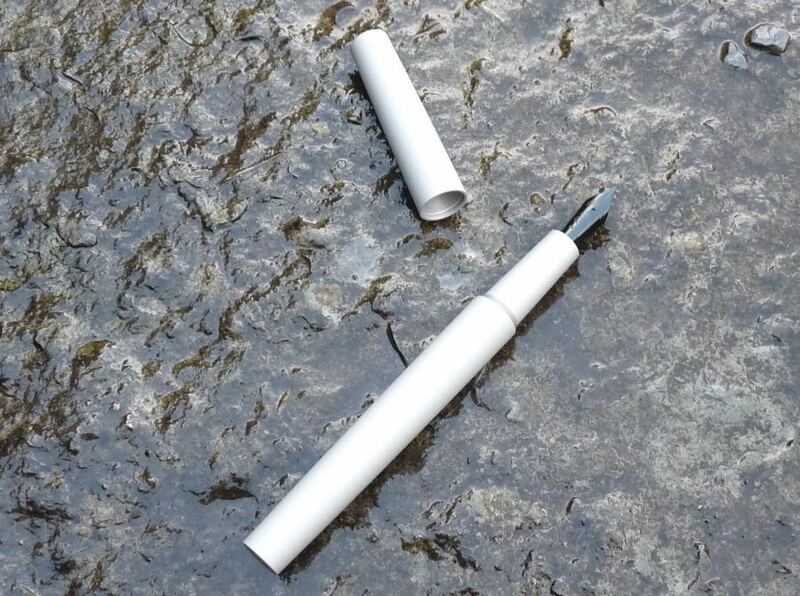 Ian, thank you so much for taking the time to review the pen! I am glad you enjoy it. 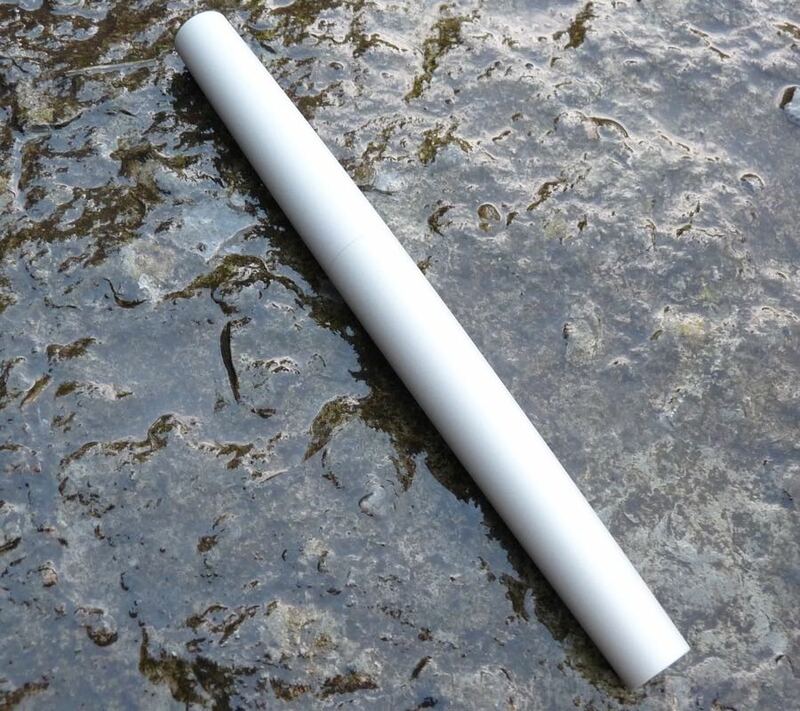 It’s a looker altright – not certain about this colour combination, but the shape is great. Anodising was all the rage for bike components a little while back, and the finishes produced stood up pretty well, iirc.